oh, and the blood test, yes you're right it's not sure it will show increased androgens, I know because in the beginning few yers ago when I noticed the hormonal imbalance I got it made and was 'normal' according to my doctor, he said no other choice, only diane pill, stupidly I started taking and it really helped, very mild facial and body hair, no acne at all, nice hair, so actually I was happy and did't look for other options, but half year ago I decided to stop it(one of the main reason was the like almost zero libido) and of course every symptom came back. Fortunately thank to you the acne and hair problems are solved only the facial hair left which is maybe the most irritating for me. So now I think I have to make a blood test again(saliva is apperently better but here is crazy expensive to check all hormones) and if the glucose tolerance test shows positive I might be closer to find out the reason. (But I wanna check thhroid as well and everything what I can, even the ultrasound what you suggested.) The reduction of body/ facial hair was definitely one of the biggest advantages to taking inositol as well. Actually, in clinical studies, it was shown to be as effective, if not more, than prescription medication for hirsutism. Yes you're right, there are so many choices of supplements and herbals to try if one doesn't work you can look for another, the only problem that it really takes time I read that even if you are in balance and found the right supplements/herbals and diet and your hormones work fine, the hirsutism can take 6-12 months to decrease, fortunately acne is much less. Have you ever tried magnesium? (Magnesium glycinante or bisglycinate) It seems to be very convincing. -magnesium regulates cortisol, lowers blood sugar, supports thyroid, aids sleep, fuels cellular energy, makes hormones, activates vitamin D, and magnesium is anti-aging as well. Yes, I tried it..it didn't hurt, but I don't think it did anything for my skin. It's safe and highly recommended for PCOS. I'm going to order to try, then I can update about it. What C vitamin do you take? I have hard time to find non-acid, raw type. At the moment I only take sea buckthorn which is supposed to have vitamin C. Anyway absolutly fantastic supplement, I love it, it makes my skin and my hair so soft, Omega 7 is indeed a beauty vitamin. I take either Nature's Aid Low Acid Vitamin C (EU brand) or Nature's Way Whole Food Vitamin C (US brand). They are easier to digest and gentle on the stomach. 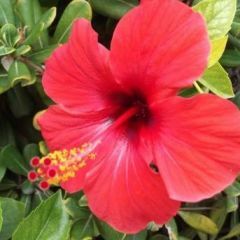 I'm confused about the DIM, I don't think I have symptomps for estrogen dominance, f.e, I don't have apple shape, and I don't suffer from heavy period. I only have very mild PMS and don't have breast pain. 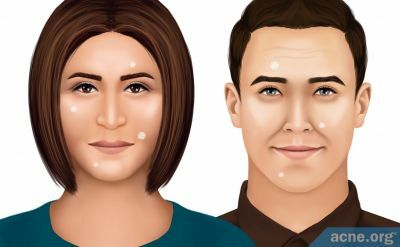 Although I have sunspots on my face, especially under my eyes (another challange to keep it under control particularly in the summer) but those appeared during I was on the pill. Would you recommend the DIM in this case? I can't say for sure, you can stick with what you are taking right now...no need to overload your body because if you take too many supplements, you won't know what's working and what doesn't. I incorporate supplements one at a time now - in the past, I used to start taking multiple things and wouldn't know what works and what doesn't. Thanks for reminding me to the importance of the water, sometimes I really forget about that. I've never tried acupuncture, but sounds exciting. I'd like to ask you about electrolysis. I remember you mentioned that you are doing it in one of your previous post. Is it working? Does it leave scabs/scars on your skin? I' m just so scared of that and the lack of experience of the electrologist. How painful is it? My biggest problem is that here there are places with only laser and IPL but no way I would try those in hormone related places. I already checked the electrolysis home kits (there are only 2 types in Amazon, anyway.). The reviews are not really convincing, that's sure but it's not expensive and I desperately want to get rid of few hairs from my thighs, so I am just hesitating. Yes, electrolysis can leave scabs and cause breakouts/ redness, so it's important to find a good professional. I usually apply witch hazel afterwards to minimize redness. I try not to put anything thick like a cream or lotion right after electrolysis because it can clog the pores and lead to breakouts. I always tell the aesthetician to avoid creams/ lotions. You can use a bit of Emla numbing cream before electrolysis if it's too painful. I don't recommend home kits (not the same heat currency as professional ones, plus you can actually damage your skin if you do it yourself), IPL , or any type of red light on hormonal hair growth. Thank you for your reply! It helped me a lot. 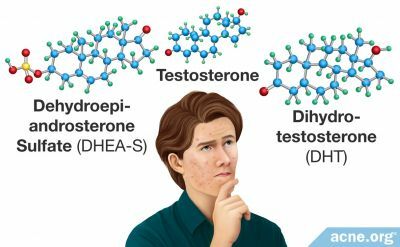 If I have normal testosterone, but high DHEA-s would the inositol not help? My estradiol estrogen is normal, and not sure about progesterone. I do know that progesterone caused my late cycle to induce, but I had also had three very short cycles prior. So confusing! 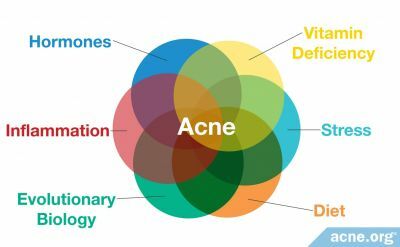 My OB just recommends Lo Estrin and spiro for acne. Vitamin D also seems to be causing my breakouts to worsen. Vitamin D makes me breakout too. I switched to prescription strength D2 (not D3) at one point and it gradually helped get my D levels up. Now I use transdermal Vitamin D lotion because I don't do well on over the counter D3 supplements. Inositol can still help you - no way to say for sure unless you try it. Also look into DIM. The mods said it was ok to create a pinned thread with natural/ holistic ways of balancing hormones, so I'd like to know if you would be interested in starting that thread and reading my 2 cents. Sorry for not updating you earlier! I had to open a new account because I could not get into my old one, but I was previously in this thread. Since I started taking myo-inositol 2 years ago, I still have some problems with excess hair in unwanted places.... I now also have some signs of estrogen dominance as well. I actually do have some melasma on the face, looking a little like the "pregnancy mask" although I am not pregnant right now. I have fibroids now causing problems as well. I am on a very low dose of myo each morning, just a small fraction of a teaspoon, so I am not sure it is causing this at all. I have tried acupuncture and tried asking doctors, but they said my symptoms of androgen dominance are fine and normal, and would not prevent me from getting pregnant (without actually doing any tests!). I even went to a naturopathic doctor, but was told that since I am ovulating every month they would not want to add anything else like vitex because things could actually be worse, and even said there is no reason for me to continue with inositol. All I am taking is the small dose of myo and fish oil with vitamin D in it. I would like to go to bed early and not eat late at night or sugary foods, etc. but socially it is impossible. And, as usual, no doctor cares about me lol. I cannot convince any doctor to try to help me and the natural doctor gives me the impression they do not feel competent with my case, referring me to conventional doctors instead, who never take me seriously. I asked if acupuncture could change the estrogen-progesterone balance to increase progesterone and was told no, because I am already ovulating every month. Unfortunately, I miscarried this year possibly due to the hormonal imbalance the doctors did not care to treat, and now I am still waiting to start a new cycle to start acupuncture again and check my hormones. My suspicion is that I am ovulating late, causing my progesterone to be low, and I plan to ask the acupuncturist to try something for ovulating earlier. I’m suffering from moderate acne with very oily skin since I was 14. I tried birth control pills (brand name : Gracial) which works great but when I came off the pill my face reruns break out like crazy after few months. I started using Dan’s regimen on year 2009 (not on birth control or other meds) I was 23, it took 6 months to achieve complete clean, yes! It was a completely clear face. 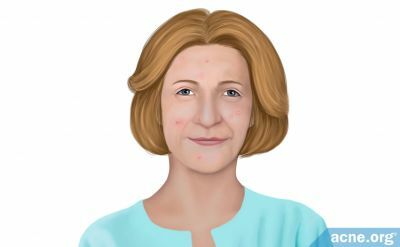 I kept using it until year 2010, I suddenly stopped using this regimen because my friend recommends me to join some facial course which I did and that was totally a fail…. My skin was ruined at the time. When I was trying to start Dan’s regimen again to save my skin, I think because my face was too bad so I used too much BP at the beginning, my face was burned red and dry which made it look much more severe. I was so upset and I was scared to go out of my house I even quit my job because I looked terrible. Again I started birth control again…. cleared skin again in 4+ months. 2012, I decide to quit birth control because I think it will affect fertility ability. I used Chinese medication, it only can control it but not clearing my skin at all. 2013, I start Dan’s regimen again, but this time no matter how exact I follow the instruction, my face just never get clear, it can only control from getting worse. My acne moved from my forehead+cheek to jawline+chin. 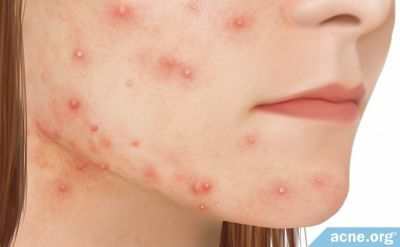 I will get big cystic acne on my chin near my ears and jawline before/after my period. I also have hair loss. 2015, I was having 13 days of period one month and I never had this experience before, so I went to the doctor, she prescribe meduphastonto increase my progesterone since she thinks that’s the reason why my period never end. Which works means she is right. 2015 to 2016, since then I’m have longer period than before, I will get 3 to 4 days spotting before actual flow(3days) and 3 to 4 days spotting after, so totally 10 days period. And hair loss is getting worse due to grease, i need to wash my hair everyday. 2017 June, due to stress, poor diet and lack of sleep, my skin broke out severely on my chin suddenly , very big cystic acne even I’m still using Dan’s regimen, seems it doesn’t help the hormonal acne anymore. I even got cold sore near my mouth, I hate that. And I keep losing my hair since it's getting very greasy. Hey everyone. I haven't logged in here for a while, life has been busy, but thankfully that means it has taken the focus off of my skin and onto more important things. If anyone is interested in an update on how I managed to maintain my mostly acne-free skin, let me know and I will update my supplements & diet thread. I no longer take inositol, and rarely still take DIM right before my period. So nice you are back and congratulations on keeping your skin clear for so long. I have been following your posts for years and wondered how things were these days. I have never posted anything on any kind of forum before and have solely created this account to reply to your message! Please do update what you are currently taking. I really want to thank you for keeping such personal record over the years, it's really one of a kind. Most important thing: Keeping stress at bay (my worst breakouts came during times of extreme stress), meditating for a few minutes in the morning, yoga whenever possible, trying not to get fixated on my skin and focus on more important things instead. Once a month: lactic peel facial. ABSOLUTELY NO ACNE-RELATED PRODUCTS LIKE B.P. , salicylic, or glycolic - those make my skin worse, I think mainly because of histamine issues. Other topicals: aloe vera gel, andalou organics skincare, weekly turmeric-honey-yogurt mask (I use Fage yogurt, but any plain yogurt with no gelatin is ok), Irish mud mask as needed. 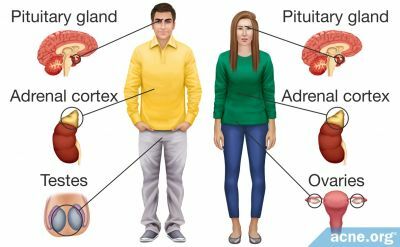 LOW HISTAMINE LIFESTYLE - this is very important if you have any histamine issues (you can get your antibodies tested to see if you have this). Check my other posts on this. Also, I'm doing a part-time keto diet that is relatively low carb, but not extremely so, and with some fruit, and this has helped minimize breakouts even more. Supplements: Coconut oil (MCT oil in my coffee every morning), turmeric, vitamin C or Nicadan (1/2 a capsule a few times a week - my derm prescribed it). As needed: digestive enzymes, probiotics (PB8 vegan), amlaki (antioxidant), DIM (pure DIM by Olympic Labs - now I only take it when I have a pre-period breakout), garlic supplement as needed (for detox and to fight infection), zinc. Diet: Almond milk, almonds, eggs (fine for me, not good for some), fresh veggies, some chocolate (my biggest weakness, but dark and white is ok), some ice cream (coconut, yogurt-based), etc...just trying to eat as simple as possible, but I still can't cut out sugar. Stevia sweetener helps though. AND: Through this lifestyle, the cysts in my ovaries (from PCOS) are now gone. I got my most recent scan a few days ago, and the doctor said everything looks healthy. I hope this helps! Best of luck to you. Thank you for an update! It's great you no longer need to take supplements full time. May I ask why you stopped Inositol? Was it hard to come off it? How often do you do acupuncture and what effects have you noticed? Does it last? Do you think you will continue low histamine diet for the rest of your life? I have been trying to come off spironolactone for 3 months and managed to with hardly any breakouts. It was a surprise but I am on an array of supplements including inositol (what I think helped me the most). I do however have severe hair loss (started while on spiro). I also have pcos and had a plan to start taking dim once I am fully off spiro but it turns out I am allergic to it (rash, itchiness). I am not allergic to cruciferous vegetables and tried various brands of dim but get allergic reaction anyway. Have you experienced any allergic reactions when taking dim? Olympic labs brand was the one I planned on trying next also. Talking about the benefit of Curcumin, recently I came across Arjuna Natural’s BCM-95® (CURCUGREEN®), a 100 percent pure extract of turmeric with enhanced bio-availability and bio-efficacy. Its powerful health-promoting benefits are derived from the colorful and aromatic qualities of the Indian spice. Inferred healthy from their longstanding use in traditional Ayurvedic and Chinese medical healing systems, these therapeutic constituents have also been repeatedly validated by the scientific data of today. BCM-95® (CURCUGREEN®) was born out of this wisdom. Some of the benefits I found about BCM-95® are. · BCM-95® supports joint health. · BCM-95® helps maintain joint health. · BCM-95® helps maintain proper joint function. · BCM-95® promotes joint flexibility and mobility. · BCM-95® helps maintain active joints. · BCM-95® supports cognitive health. · BCM-95® supports mood health. · BCM-95® provides inflammatory support. · BCM-95® helps relieve stress and frustration. · BCM-95® helps enhance mood.